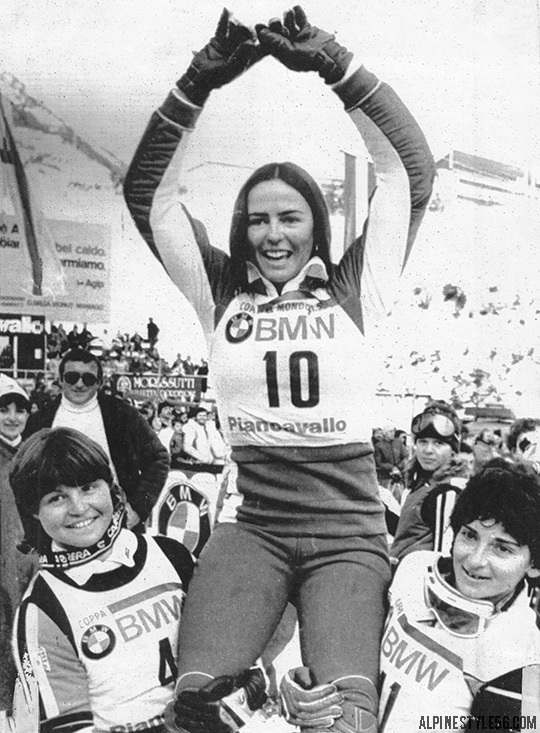 2/5/1974 Press Photo: Ski World Championship in St. Moritz – The first title of World Champion has been disputed by the girls in giant slalom. The competition saw French Fabienne Serrat winner, second the German Traudel Treichel (left) and third the French Jacqueline Rouvier (right). 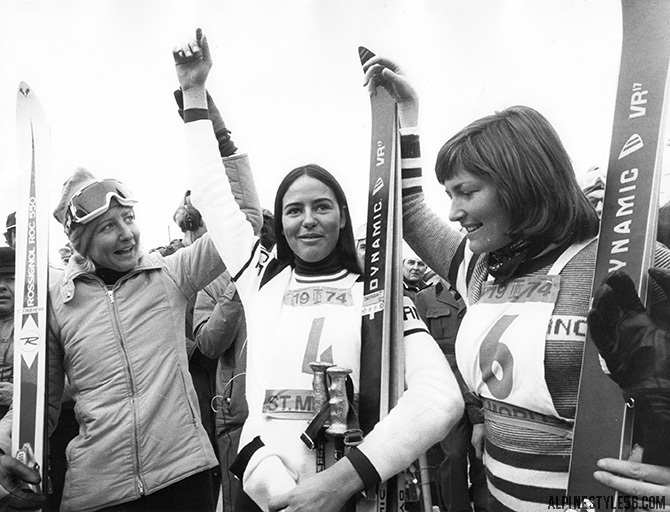 Fabienne also won gold in the Combined event at these World Championships; she was 17. 12/13/1980 Press Photo: PIANCAVALLO, ITALY: Fabienne Serrat, 24, of France, winner of the World Cup slalom 12/13 raises her hands as she is held by Erike Hess (L) of Switzerland who finished second and Maria Rosa Quario of Italy who came in third. This entry was posted in Ski, Ski Racing, Vintage Ski Racing, Vintage Style and tagged Dynamic, Fabienne Serrat, France, Italy, St. Moritz, Switzerland, Vintage Photo. Bookmark the permalink.